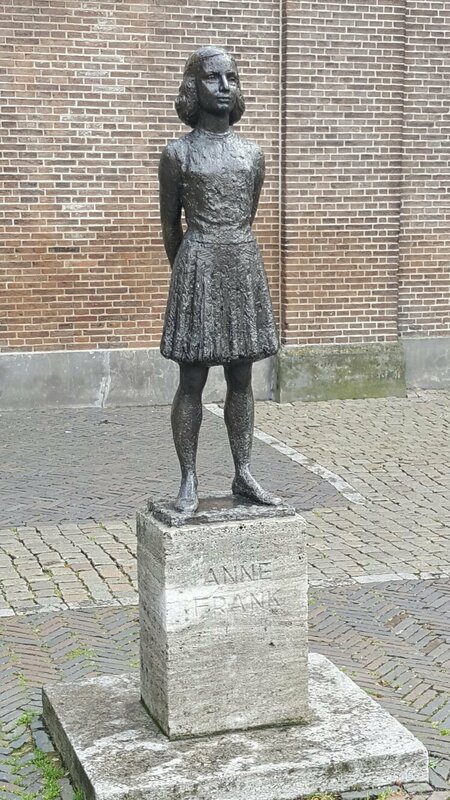 Lovely little statue of Anne Frank beside a church in a square a short walk from the centre. 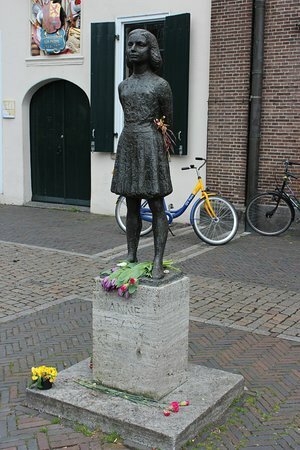 When I visited soembody had left flowers, but I never worked out why she is here when I thought she lived in Amsterdam? 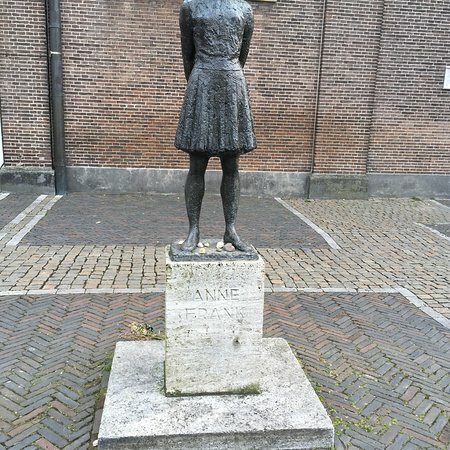 Anne Frank, we all know her. 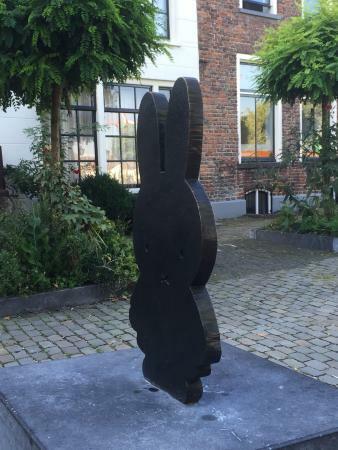 Lovely statue by sculptor Pieter d'Hont. 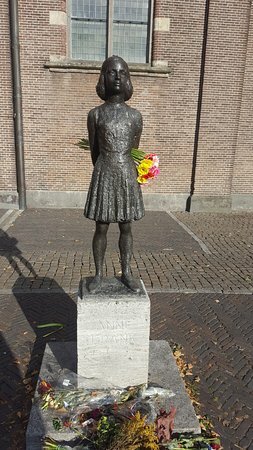 Remember this brave girl and put a flower here. 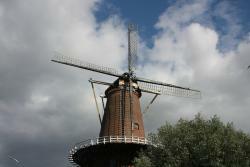 Simple outdoor statue of one of Holland's icons. 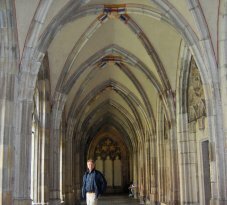 Good outdoor art in a square, so take a photo and linger. 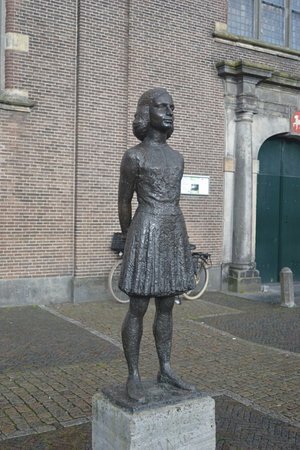 Couldn’t figure out why the smallish brass Anne Frank statue has been located in Utrecht next to Janskerk. 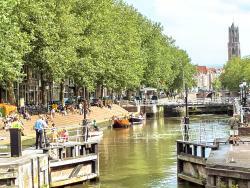 As the tells us she lived in an attic in Amsterdam. 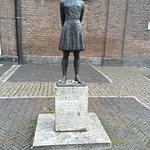 Nice statue in the central area of Utrecht and worth stopping by. 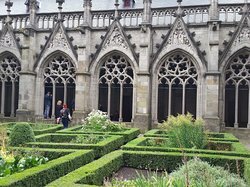 Interestly mostly with medieval churches, I was surprised this statue in front of the Janskerk and a big Square. It seemed odd that such statue would be located here! 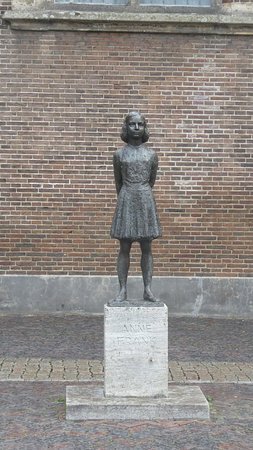 Get quick answers from Anne Frank standbeeld (statue) staff and past visitors.